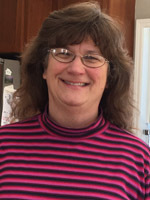 Julie Foster, a teacher for Harrisonburg City Public Schools, enjoys literature, music, drama, laughing, and learning. She also teaches American Sign Language for local colleges and community groups. She believes learning should be filled with music, drama, dance, and imagination. Stories come alive in her classes.